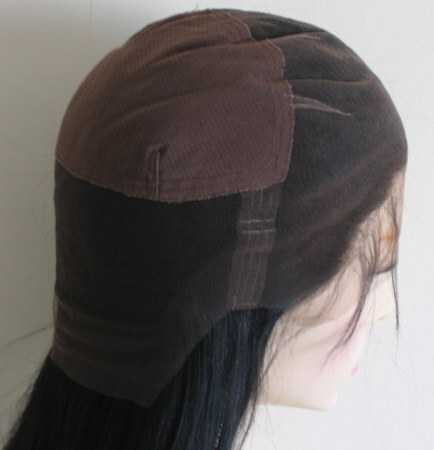 Full lace cap wigs with a stretch panel at the crown come with an elasticated lace panel that begins at the crown and reaches a few inches down towards the back of the cap. The rest of the lace wig cap is made from lace. The stretch panel will always be a different colour to the lace because it contains elasticated material, but it will still be breathable. 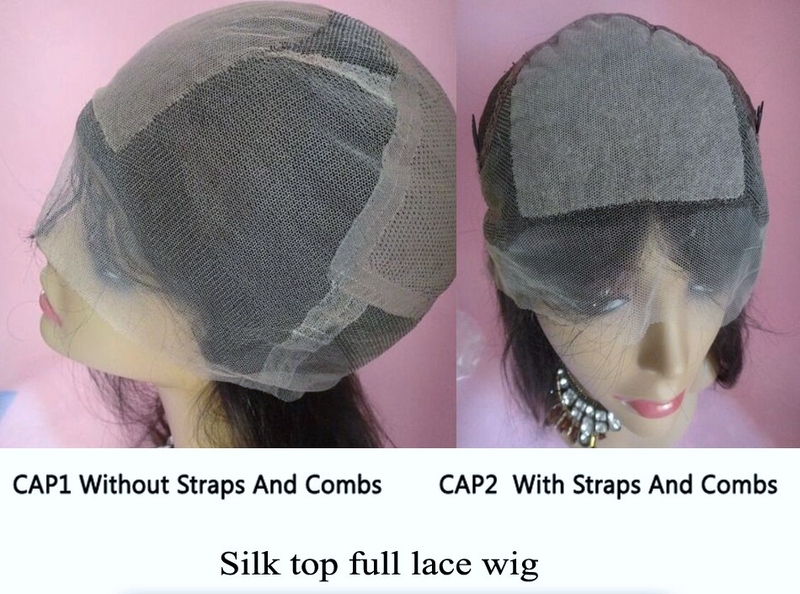 This type of lace wig cap construction means that it can add approximately an extra half inch to the given circumference. The standard medium cap size of 22.5 inches for a full lace cap wig should fit a head that has a circumference of 23 inches. It also means that if you have lots of growth hair (in density, length or both) then the stretch panel for the full lace wig cap will accommodate it. The stretch panel is also more robust than the rest of the lace and is the reason that you can easily roll the wig back to this point in order to fit your wig on your head. This is a great option for those who are new to wearing full lace wigs as well as being popular with those who have worn them for some time. Naturally you'll need to use an adhesive with this cap. As the lace is around the entire perimeter of the full lace wig, it means that you can wear your hair in a high bun or ponytail with an undetectable hairline around your ears. As the stretch at the crown is a different colour to the lace, it means that the stretch panel can be seen if you want to part your hair through the middle (a half up, half down style, canerows, pigtails and so on). It's easy to be enticed into all sorts of options for your full lace wig cap construction, without really knowing whether you need (or even want) a full lace wig done up like a dog's dinner.